Public transportation buses, whether operated in San Antonio or wherever, are mostly non-profits. They can count on only about one-third of their needed revenue coming from fares, with the remainder often from taxes. Operating within the city limits, they are usually controlled by the city government and some other overseeing entity. The San Antonio Regional Transit Authority controls the Metro busses in the city limits. These companies define the specific routes, determine the charges, schedules and maintenance. They also are charged with the most important function – hiring the drivers who have great responsibility for the commuters relying upon them. 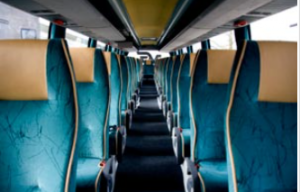 Charter buses are privately retained forms of transportation, by a specific group for a specific destination. These particular-purpose forms of travel are hired to take a group of like-minded individuals to shows, concerts, sporting events and other programs. Sometimes they are tour buses, which carry specific-interest travelers from out of town. However, except for major corporations bringing in tourists from South America and Asia, they are infrequent in the South Texas area. Van accidents are common in South Texas. They offer an ideal form of transportation for smaller groups that do not require the expense of a bus. Of the larger sizes of vans, many are rented vehicles that may carry with them a number of hidden corporate defendants. Each one must be identified through careful detective work, as well as analysis of incorporation articles and other Texas state filings. Attention must be paid to investigating who in Texas hired the bus company and what is the corporate structure of that business entity. It is not uncommon for negotiated contracts to involve various side deals between certain businesses along the route. They benefit from patronage that is brought to them. 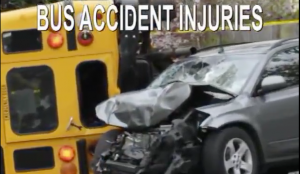 This is a standard practice for non-school bus hiring that involves commercial destinations. Commissions are often derived for the bus company which promotes and encourages Texas customers to be funneled into an arranged destination. This is especially true if the Texas tour bus was retained by a contracted arrangement with another tour company, a hotel or a travel agency.